Adam Tucker is a man on a mission. After failing to save a troubled teen from drowning, Adam traded being a Coast Guard rescue swimmer for the dream of starting a youth adventure camp in his hometown. Adam is willing to do whatever it takes to help other kids navigate the deep, dangerous waters of adulthood. He's even bet his twin brother that he can finish the transformation of a boathouse into camp living quarters before the summer season puts their watersports business in full swing. But when the key to winning that bet turns out to be an interior designer who is as enigmatic as she is gorgeous, things get complicated for Adam. With its soaring mountains and rushing river, Eagle's Ridge is the perfect place for Jadyn McAllister to stay “off the grid” until things settle down in Miami. No one from her old life would expect her to hide out in a small town, working for cash and keeping her real name -- Jane -- a secret, but that's exactly what the FBI told her to do. They also told her to trust absolutely no one, which isn't a problem until she meets Adam. From the first moment, sparks fly and temperatures rise every time they're together. She's determined to keep him at arm's length and in the dark…but the more time they spend together, the more she longs to wrap her arms around him and hold him close all night long. 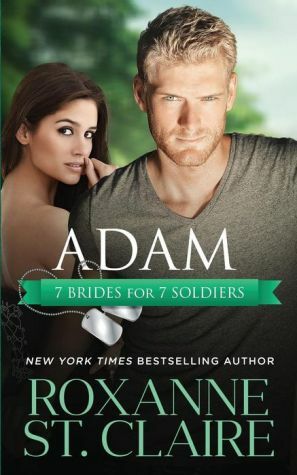 With her aura of secrets and her tough façade hiding a vulnerable sweetness, Jadyn calls out to the rescuer in Adam. But he learned the hard way that total honesty is the only way to live and he senses Jadyn is lying to him. But she knows the truth could risk more than her heart �" it could cost her life. As the whitewater of danger swirls around them, it will take more than a strong swimmer to save them both…it will take love.